By observing trees and shrubs growing under natural conditions, it is often found that plants grow widely apart in low rainfall areas. Therefore, wide spacing of plantings in arid zones generally should be practiced to avoid competition for soil moisture. The amount of water available to a tree or shrub in a plantation is proportional to the stand density. On dry sites, it is necessary to plant widely apart and to remove all competing ground vegetation; this increases infiltration of rainwater and decreases water losses through transpiration by plants and evaporation from the soil. When irrigation or mechanical cultivation is practiced, it is necessary to adjust spacing to the width of the machinery used and to ensure that plants are placed in straight rows. Actual spacing varies with species, site, and the purpose of the forest plantation. In fuelwood plantations, for example, one might prefer closer spacings than employed in other kinds of plantations. Seldom can a spacing of less than 3 x 3 meters be applied, however. The number of trees per hectare, according to the spacing between the lines in a plantation and the spacing of plants within a line, is given in Table 4.1. For example, with a spacing between lines of 3 meters and a spacing of plants within a line of 3 meters, a planting density of 1,111 trees per hectare will be required. 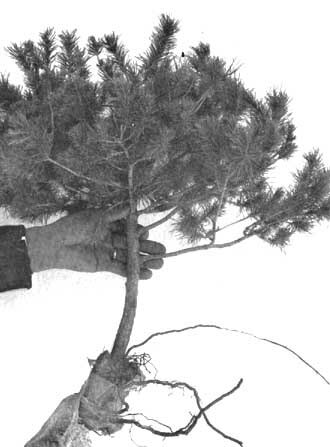 Figure 4.10 Ten old Pinus pinea planted with the plastic container.